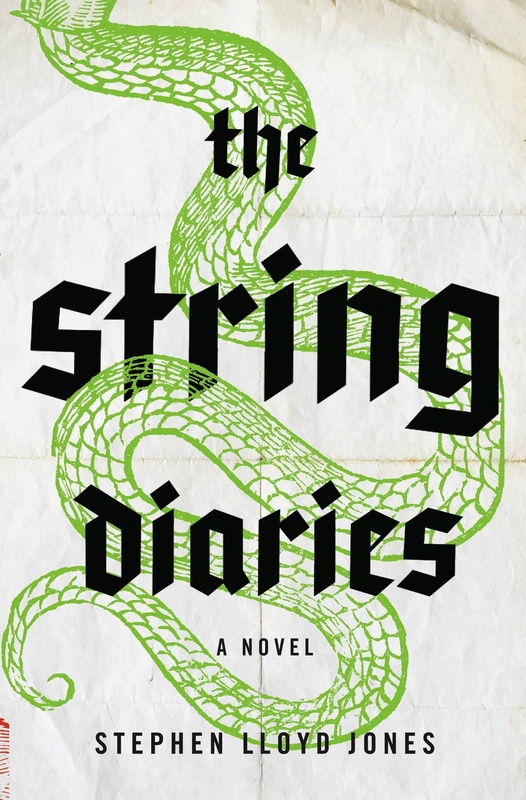 The String Diaries – the thrilling debut novel from Stephen Lloyd Jones – is not a pure horror novel, but rather borrows a little bit from a variety of genres. I recently listed it as one of my “Most Anticipated Summer Reads” based off nothing but the official synopsis, which was more than enough to capture my attention. I said it would be a book that would rule my life the minute I start it and my prediction was confirmed the moment I started reading . The String Diaries kicks off with a bang as Hannah Wilde races through the night trying to make it to Snowdonia, Wales ahead of a mysterious pursuer with her husband slumped in the passenger seat quickly losing blood from a horrific attack and her young daughter sleeping in the back. The family is being hunted by a centuries-old monster and they are armed with little more than a bundle of old diaries that have been handed down throughout the centuries detailing ways to help combat their enemy. What follows is an intense struggle for survival where Hannah must decide how much she is willing to sacrifice to protect her family and put an end to a curse that has spanned centuries. One of the things I was most excited about was the sprawling timeline that makes up the novel. I love books that are not afraid to explore different settings and time periods because it allows the author the freedom to craft a rich history that can add an interesting dimension to a story. The book starts off with a bang in the present day, but throughout the course of the novel Jones jumps around to Oxford in the 1970s and Hungary at the turn of the 19th century. Sometimes jumping around in time can create a serious continuity problem and jeopardize the momentum built up throughout the course of the novel. However, Jones transports the reader through time with ease and never loses the thread of the story by giving a brief but natural summary at the start of each chapter when returning from a switch in time. The time jumps are not simply about providing background information, although they certainly do that, they are also entertaining story lines in their own right. None of these alternate story threads feels like a bore and each one offers their own central mystery which helps keep the reader engaged. The main adversary of the novel is another strong point in this book. I want to avoid spoilers, so the only information I will give comes straight from the publisher in their original summary of the novel: “A family is hunted by a centuries-old monster..” The idea behind the force that is haunting Hannah Wilde and her family is pure genius. The basis of the antagonist has appeared in horror before, but Jones uses a bit of Hungarian folklore that I have never seen used before and it helped add a little bit of originality to the plot. I also found it interesting that despite the pure evil displayed by the antagonist, there were times where I couldn’t help but feel a little bit of empathy for him. This small bit of humanization makes him a much more complex and interesting adversary. The String Diaries is an incredibly entertaining book with plenty of surprises that invite marathon reading sessions. If you liked Elizabeth Kostova’s The Historian or Andrew Davidson’s The Gargoyle, there is a good chance you will love The String Diaries! Stephen Lloyd Jones is an exciting new author worth keeping an eye on. I have seen interviews that he has a sequel planned for The String Diaries, so that is definitely an early contender for one of my most anticipated reads of 2015!